Sales of heavy duty material handling dust collector blowers, radial wheel fans, dust colletor fans and blowers. Quick delivery of big industrial dust collectors and commercial ventilation blower fans, centrifugal and axial explosion proof fans and ventilators, material handling dust collector blowers and material conveying fans. Axial fans are provided at Canadian Blower with wheel diameters in sizes up to 85 inches, CFM up to 300,000. Axial fans are manufactured with the option of direct drive and belt drive. Pressure up to 14 inches WG. Cyclone Dust Collectors are custom made for your exhaust / dust extraction needs. Units for gas-solid and gas-liquid separators are available in stainless steel, carbon steel, PVC and FRP. 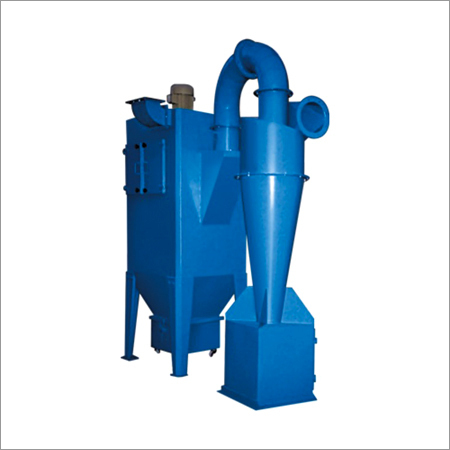 Hoppers and collection chamber for the cyclone dust collectors are available as well. Designers of Madok heat exchangers, stainless steel pressure blowers, induscr draft ventilators, force draft ventilators, leader ventilators, high pressure centrifugal blowers, high CFM axial fans, high air flow ventilators, dust collecting fans, radial pressure blowers, vacuum blowers & fans, stainless steel ventilation fans, air handling fans, airhandling blowers, FRP pressure blowers, SST pressure fans, oven & dryer circulation fans, drying blowers. HC Hot Water, CW Chilled Water Coils are designed to mount on the inlet of the duct fan or inside the ventilation duct. The coils utilize lead free construction - safe for use with potable water systems. Aluminum fin on copper tube construction. All coils are factory leak tested to 500 p.s.i. Hot Water Coils are 2 row, Chilled Water Cooling Coils and Direct Expansion Coils are 4 row. Convenient for both new and renovation installations. Suitable for remote installation inside ventilation ducts.